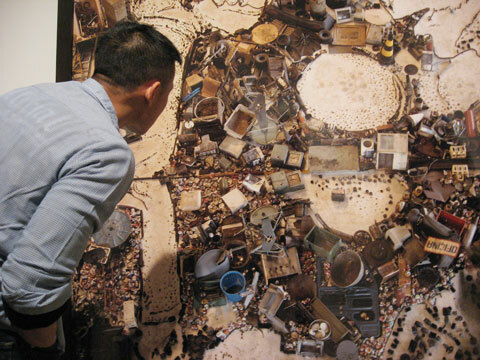 I went to see Vik Muniz' exposition 'Reflex' at Montreal's Museum of contemporary art. Vik Muniz is a Brazilian artist living between Brazil and the U.S.
His work is based on different levels of perception. Primarily, he is a sculptor who documents his work with the photography medium. After the project execution it does not matter if the objects are destroyed, as long as the idea is captured in the photographs. 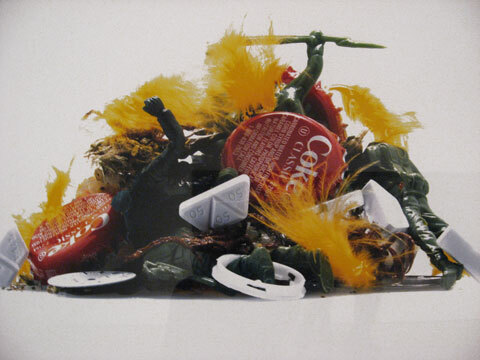 An example of how Muniz experiences perception in his work can be seen in his series 'Equivalents' (1993) – simulations of cloud formations, made with lumps of cotton, inspired by Alfred Stieglitz' cloud studies. In this piece the visitor can see once at a time lumps of cotton, clouds or an image that he sees in these clouds. But he will never see these 3 phenomena at the same time. In the documentary 'Worst Possible Illusion: The Curiosity Cabinet of Vik Muniz', which is accompanying the exhibit, Muniz talks about his work and life. His projects start sometimes by the subject itself and sometimes during the process. Muniz photographs all kind of everyday materials and creates illusionary visualizations. Material he uses are i.e. chocolate, sugar, wire, dirt, confetti, objects, thread or jam. 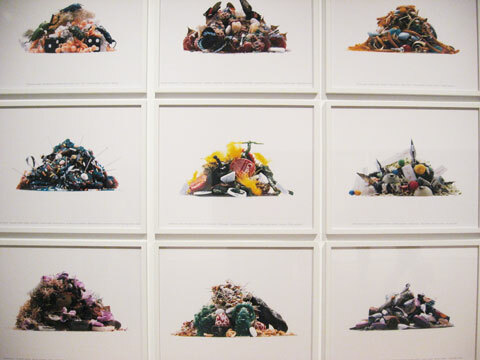 Pictures of Junk(2005) – large-scale reconstructions of famous paintings, such as Caravaggio's Narcissus, made with recycled materials. 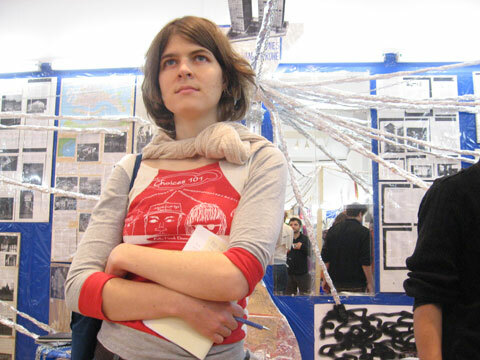 An installion of Swiss-born in Paris living Thomas Hirschhorn is also exhibited. Jumbo Spoons and Big Cake is the Installation, 2000: "The 'big cake' is our society of excessive consumption, while the 'jumbo spoons' represent 12 twentieth-century utopias that have failed, in the artist's view." According to Hirschhorn failed utopias are: Mies van der Rohe, Rosa Luxemburg, Malevich, Nietzsche, Venice, China, the moon, guns, fashion, the exhibition of "degenerate" art held by the Nazis in 1937, Rolex Swiss watches and the Chicago Bulls basketball team. There is also a great show on sound in contemporary art named "Ces images sonores / Sound Images". It is a thematic exhibition of works from the Museum's Collection.